Mozilla has announced intentions to shut down its Persona identity authentication service later this year. In an FAQ related to the shutdown, Mozilla said its metrics indicated that usage of the service is low and it has not grown over the last two years. Hosting a service at the level of security and availability required for such a service is no small undertaking, adding that it can no longer justify dedicating limited resources to the project. Mozilla will continue to support Persona at a maintenance level until November 30, 2016. At that time, Mozilla will take persona.org offline and destroy all user data stored on its servers including registered e-mail addresses and password hashes. In other words, the domain and user data won't be transferred to a third party. Mozilla's Ryan Kelly said Persona was intentionally designed to use e-mail addresses rather than opaque identifiers which should help sites that currently use it migrate to a similar service. 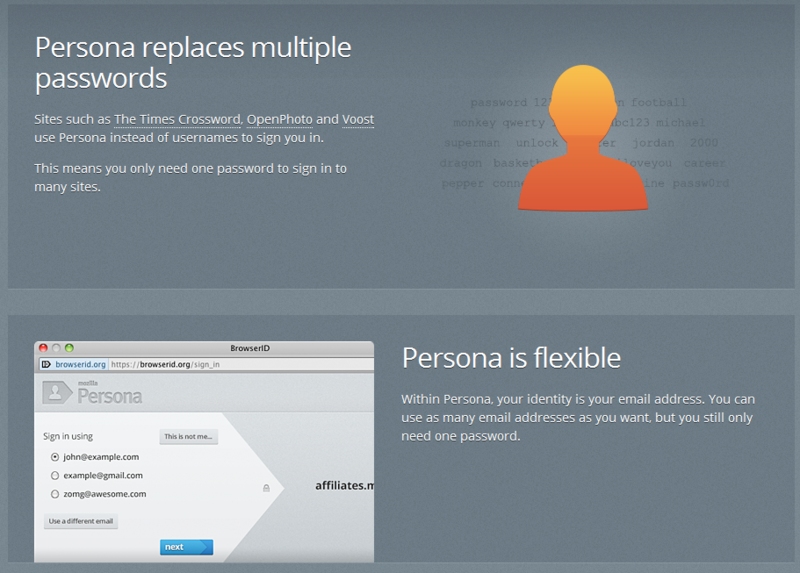 As Softpedia points out, Persona is the third project Mozilla has ditched in just over a month. In early December, Mozilla revealed a desire to separate itself from Thunderbird, the e-mail and chat client it all but ditched in 2012. A week or so later, the foundation confirmed that it was pulling out of the smartphone business after having announced Firefox OS nearly three years earlier.